Sat., April 21, 2018, 10:27 a.m.
MENLO PARK, Calif. – Facebook has taken the lion’s share of scrutiny from Congress and the media about data-handling practices that allow savvy marketers and political agents to target specific audiences, but it’s far from alone. 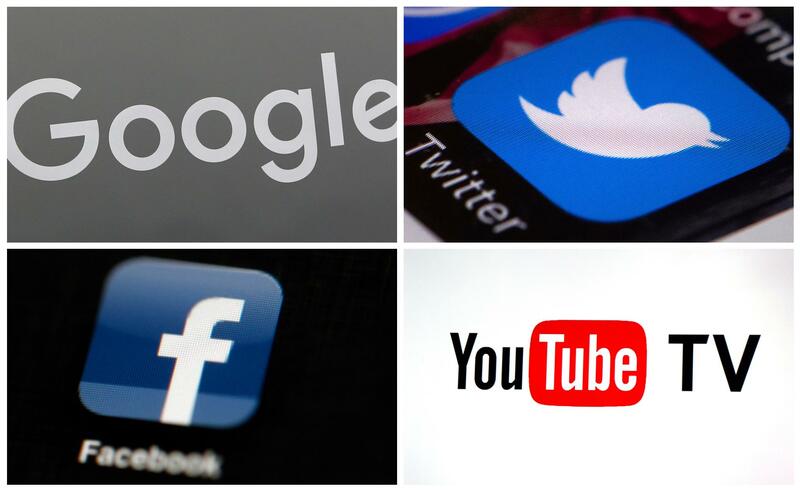 YouTube, Google and Twitter also have giant platforms awash in more videos, posts and pages than any set of human eyes could ever check. Their methods of serving ads against this sea of content may come under the microscope next. Advertising and privacy experts say a backlash is inevitable against a “Wild West” internet that has escaped scrutiny before. There continues to be a steady barrage of new examples where unsuspecting advertisers had their brands associated with extremist content on major platforms. “I absolutely think that Google is next and long overdue,” said Josh Golin, director of the Boston-based Campaign for a Commercial-Free Childhood, which asked the Federal Trade Commission to investigate Google-owned YouTube’s advertising and data collection practices earlier this month. It also allows advertisers avoid running ads on sensitive content – like news or politics – that don’t violate YouTube guidelines but don’t fit with a company’s brand. Those methods appear to have failed. “YouTube has once again failed to correctly filter channels out of our marketing buys,” said a statement Friday from 20th Century Fox Film, which learned that its ads were running on videos posted by a self-described Nazi. YouTube has since deleted the offending channel, but the Hollywood firm says it has unanswered questions about how it happened in the first place. So far, just one major advertiser – Baltimore-based retailer Under Armour – had said it had withdrawn its advertising in the wake of the CNN report, though the lull lasted only a few days last week when it was first notified of the problem. After its shoe commercial turned up on a channel known for espousing white nationalist beliefs, Under Armour worked with YouTube to expand its filters to exclude certain topics and keywords. That’s just a fraction of the some 3 million YouTube channels in the U.S. that accept ads, and is even more stringent than YouTube’s “Google Preferred” lineup that focuses on the top most popular 5 percent of videos. The CNN report was “an illustration of exactly why we needed to go above and beyond just what YouTube’s plans were and why we needed to take more control of where our ads were showing up,” said P&G spokeswoman Tressie Rose. Also absent from the internet are many of the rules that govern children’s programming on television sets. TV networks, for instance, are allowed to air commercial breaks but cannot use kids’ characters to advertise products. Such “host-selling” runs rampant on internet services such as YouTube. Action to remove ads from inappropriate content is mostly reactive because of lack of upfront control of what gets uploaded, and it generally takes the mass threat of boycott to get advertisers to demand changes, according to BrandSimple consultant Allen Adamson. “The social media backlash is what you’re worried about,” he said. Published: April 21, 2018, 10:27 a.m.